GDR Quantum Engineering, from Fundamental Aspects to Applications (IQFA) - The Quantum Technology Flagship has officially been launched !! The Quantum Technology Flagship has officially been launched !! 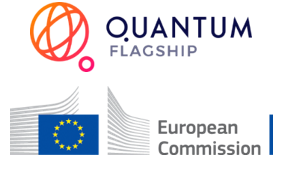 The overall initiative will involve the quantum community at large, with over 5000 European researchers in academia and industry searching to place Europe at the forefront of Quantum innovation. 20 projects have been selected out of 140 submitted proposals for the ramp-up phase of the initiative. On October 29th, Europe will witness the start of a new and promising initiative known as the Quantum Flagship. This initiative is already positioning itself as one of the most ambitious of the European Union with a 1b€ budget funded by the European Commission. 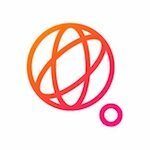 It will support large-scale and long-term research and innovation projects that will have the main goal of transferring quantum physics research from the lab to the market by means of commercial applications. Over these next 10 years, the initiative intends on placing Europe at the forefront of the second quantum revolution, which is now unfolding worldwide. It aims to bring disruptive quantum technologies to the scientific arena and to society in general by bringing forward new commercial opportunities addressing global challenges, providing strategic capabilities for security and seeding yet unimagined applications for the future. It will build a network of European Quantum Technologies programs that will foster an ecosystem capable of delivering the knowledge, technologies and open research infrastructures and testbeds necessary for the development of a world-leading knowledge-based industry in Europe. The initiative has divided all topics in five main areas of study: Quantum Communication (QComm), Quantum Computing (QComp), Quantum Simulation (QSim), Quantum Metrology and Sensing (QMS), and finally, Basic Science (BSci). The first 3-year phase of the Quantum Flagship, named the ramp-up phase, will run through October 2018 – September 2021. It will fund projects with an overall budget of 132 million euros with the goal of pushing the field to its farthest frontiers. From the 140 submitted proposals, 10 were for QComm, 11 for QComp, 6 for QSim, 22 for QMS, 90 for BSci, and one for a Coordination and Support Action. After a thorough peer-review evaluation, 20 projects, involving over 500 researchers, have been selected to be executed during these first three years. More details can be found online on the Quantum Technology official website. 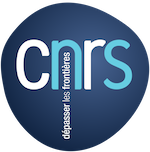 Are also available for download the QT press release and the CNRS press release (in French).